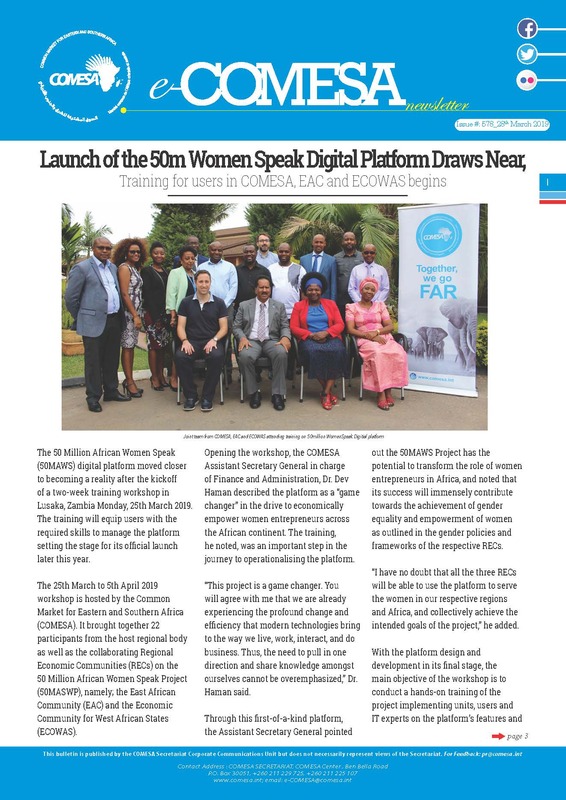 Lusaka, Sunday, February 10, 2019: COMESA has deployed a Pre-Election Observation Mission to the Union of Comoros ahead of the Presidential elections set for 24th March 2019. The COMESA pre-election observers arrived in Moroni on 10th February led by Madam Hope Kivengere a member of the COMESA Committee of elders from Uganda. The deployment of the pre-election assessment mission is in line with the Decision of the 16th Meeting of Ministers of Foreign Affairs that was held in July 2018 in Lusaka that called on the Secretariat to support Member States planning to hold elections. COMESA through the Governance Peace and Security Unit (GPS) has prioritized pre-elections observation mission as a means of promoting and enhancing the consolidation of democracy in the region. In 2018 for instance, a pre-election assessment mission was deployed to support the Zimbabwean elections. As part of its mission to Comoros, the delegation will hold consultation meetings with various stakeholders involved in the electoral process including: Ministries of Foreign Affairs and Interior and Defense, the Chief Justice, the Chief of Police, the Electoral Commission (CENI), various leaders of political parties, civil society organization, media, former government officials; business leaders among others. The meetings will enable the COMESA mission to have a proper perspective on the level of preparedness among stakeholders as regards the forthcoming elections. The key findings from this Pre-election Observer mission that relate to the forthcoming elections will be shared with stakeholders to ensure that Comoros holds a successful election.